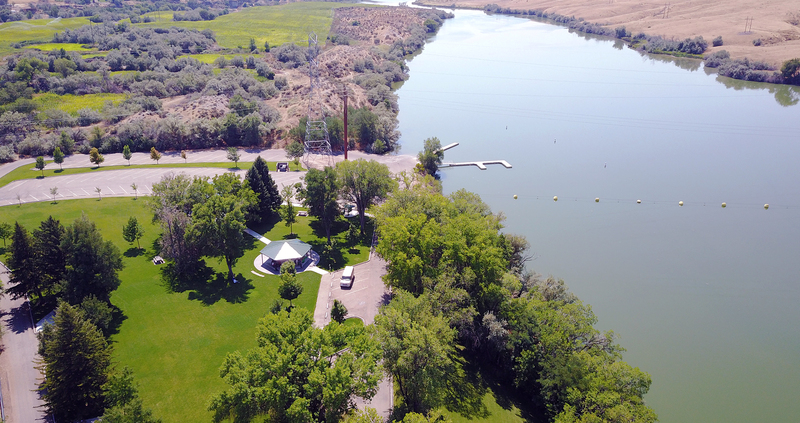 Lower Salmon Falls Park is nestled in the scenic Hagerman Valley along the Snake River. Travel eight miles south of Bliss, ID on Highway 30, then one half mile to the west on Justice Grade. You’ll find five beautiful acres of manicured lawns with an abundance of shade trees. Don’t forget your GPS for family geocaching fun! Day-use in all parks is free. Fees are charged to reserve day-use picnic shelters where reservations are allowed.